Power failure is NOT an option! It’s more than just keeping the lights on. The Solar Stik Uninterruptible Power Supply (UPS)-X keeps people alive in the field, keeps communication networks online, and is a reliable energy supply solution adaptable to all situations and continuous power needs. 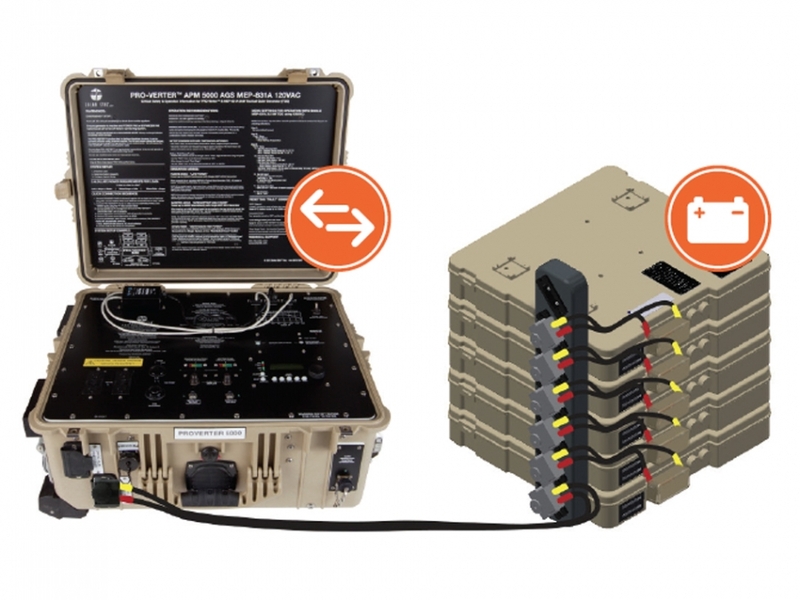 The UPS-X is a rugged solution that enhances power for any operational setting, weather element, or punishing climatic condition. Hours to days…not minutes, or seconds. Using proven Advanced Rechargeable Energy Storage (ARES) battery technology, the Solar Stik UPS-X will support ALL operations for the duration—not just the minimum or critical loads for minutes—of primary power source outages. The battery chemistry of the Solar Stik UPS-X can be tailored for any application, be it expeditionary or a permanent fixture. The UPS-X architecture is designed for ease of use. Should more energy storage capacity become necessary, ARES modules can be added to the UPS-X while it’s in the field with simple Plug & Play connections. Power management for the Solar Stik UPS-X is handled through the Portable Remote Operation-Inverter/Charger (PRO-Verter), which manages all incoming and outgoing grid, utility, or generator power, ensuring clean, continuous power to the load. PRO-Verters are made to fit user requirements, and include choices for maximum required power processing, generator type, number and type of AC output connections. Multiple PRO-Verters can be added to increase functionality of a single Solar Stik UPS-X. Solar Stik has provided modular, scalable portable power systems to meet users’ critical operation needs for more than 10 years. The UPS-X is the union of experience and ongoing communication with operators in the field to produce a superior uninterruptible power supply solution.